At construction sites, you can more and more often see the scaffolding covered not with simple, green safety nets but with printed ones. Isn’t it nice and elegant to ensure work safety this way? And it is so considerate of passers-by to add some captions – and for the benefit of tourists, put there the same in English. If you want quality work, you will have to work with specialists. Each specialist will ensure their part of the project is performed properly. For example, a designer will design the visuals, a copywriter will write the text, a translator will translate the text, and a printing company will print the materials. However, these professionals will most probably not work together as a team: they are all separate suppliers, whose work should be coordinated. 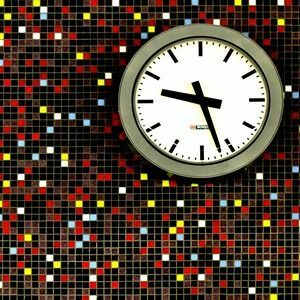 Coordinating a project may be part of the tasks of someone in charge, but, if the project is complex enough, it may well be a separate job. Project management requires specific skills that enables the project manager to coordinate, control, and check the work of all specialists involved. Even if the specialists work in parallel, they cannot be expected to check the work of each other themselves, since they are all separate suppliers. It is the employer’s or the project manager’s task to decide whether in the end they received what they expected, or whether the product needs improvement. 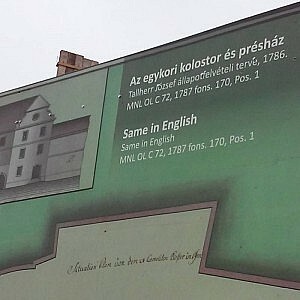 For example, when a designer gets the task to design a billboard like those covering the construction works in Buda Castle, they may already know from the start that they will need to include text both in English and Hungarian. But what should they do if the translation is not yet available when their part of the job is done? They should indicate somehow where the translation should be put when it becomes available. So they enter a dummy text, indicating where you will need to insert the “same in English”. But how do you realize something is missing, if “something” is already there? At a translation agency, translation project management is what ensures that clients get exactly what they need. For this, first it should be clarified what these needs are. Will they need a monolingual equivalent of the input file, or will they need a bilingual file? Should the end product be in an Office format (e.g. Word, Excel, PowerPoint), or a DTP file (e.g. for InDesign or other visual programs). The work may even involve deciding which parts of a text received need to be translated. A translation project manager is in excellent position to realize if something is not right. A translation software or CAT tool can help analyze the text, even if it is in an unusual format. MemoQ, for example, can work with all kinds of file formats, even ones which are for programs not installed on your computer. If there is text in it, MemoQ will be able to handle it. And if you already have the text, you might as well check it out. Moreover, MemoQ (and other CAT tools) have a module for quality analysis. This can highlight irregularities of the translation, and help resolve them. If you are interested in how such a module works, and how easy it is to set up quality analysis properly, check out this article written by the developers of MemoQ. Since setting up QA is so easy, if you know your translation agency works with MemoQ or a similar CAT tool, you can rest assured that your project is in good hands. Whenever you have a project to implement, a responsible person or project manager should be designated. This person will make sure that all participants can work together smoothly and all tasks are performed on time. Ideally, a project manager should be designated at your own company, who will take note of all your needs and communicate them to your suppliers. At the same time, you may also contract a project manager on the supplier side who will be the link between your requirements and the services supplied. Before you contract a translation agency, you might want to see if they have proper project management set up, or if they use translation technology. At Helpers, for example, project managers are responsible not only for assigning jobs to translators and proofreaders, but also for preparing and post-processing translatable files, and even for receiving feedback and incorporating data to a database for future jobs. We also use the technology offered by MemoQ in order to always provide quality translations on time. Remember: proper workflow development may take some time and have its price, but it is still much quicker and cheaper than misprinting ­– and then replacing – giant billboards on iconic buildings in the historical district of a city. Are you the owner of a company that does business in the EU? 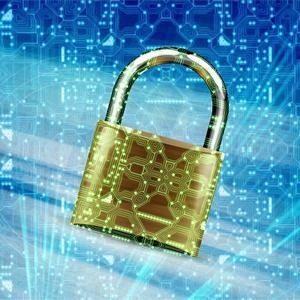 Whether your company or your partner and clients are from the EU, the new data security regulation (GDPR) is relevant for you. Learn what you should do to keep compliant with the new EU regulation.